Improve your chemistry skills by learning the meaning of electrochemistry and food chemistry. 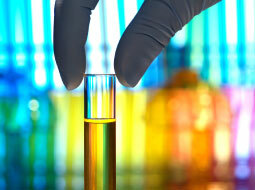 After completing this course you will know about the different elements of chemistry. You will have a good understanding of the periodic table. You will be more aware of electron arrangements. It will help you understand the history and development of atomic theory. You will gain a knowledge of electrons, isotropes, relative atomic mass, nuclear fission, thermochemical equations, electrochemistry and much more. This course will help you to easily understand the nitrogen cycle, digestion, carbohydrates, proteins, food components, glycogen and many other food important food concepts.